Ontario Premier Doug Ford is promising to scrap labour reform legislation passed by the previous Liberal government that raised the province's minimum wage and introduced a range of other worker protections. 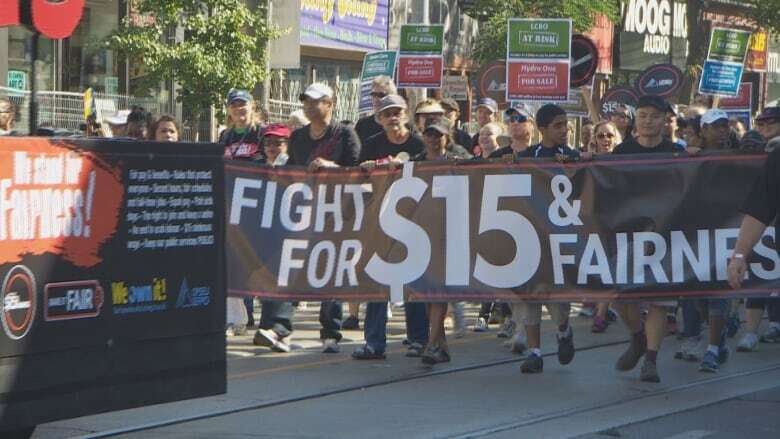 Ontario Premier Doug Ford is vowing to scrap labour reform legislation from the previous Liberal government that raised the province's minimum wage and introduced a range of other worker protections, a declaration that comes days after his government said the law was under review. 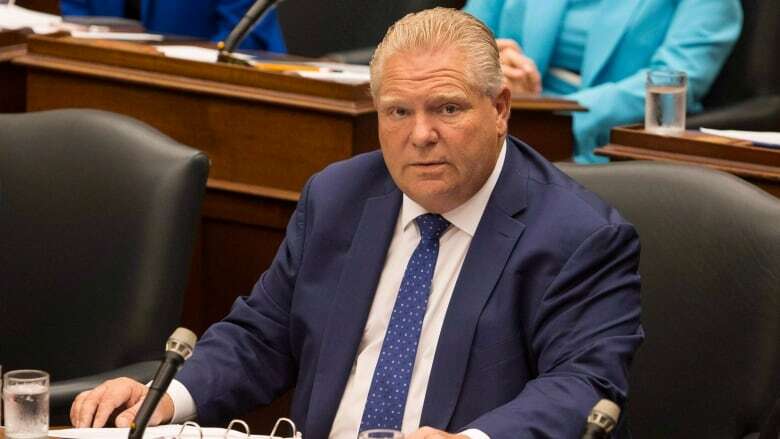 Ford's comments, made in the legislature Tuesday, caught the opposition off-guard and upset those in the labour community who have been supporters of the law known as Bill 148. "We're going to make sure we're competitive around the world," the premier said. "We're getting rid of Bill 148. We're going to make sure we protect the front-line workers." When asked to clarify Ford's comments, Economic Development Minister Jim Wilson maintained that the law was still under review but called it a "real concern." "There are parts that we will keep and there are parts that probably will go," he said. "But we're consulting on that. We're just not in a position today to tell you where we're at." On Tuesday, NDP Leader Andrea Horwath said it's not clear, despite Ford's latest comments, just what the government plans to do with the labour reform law. Repealing the legislation will only make life more unstable for workers across the province, she said. "At the end of the day, dragging us backwards to the days where people couldn't get three weeks vacation or they couldn't get sick time off when they were sick at work, these are things that we worry about," she said. Interim Liberal leader John Fraser said it sounds like Ford will scrap the bill, despite his minister insisting it is still under review. The premier's declaration hurts workers across the province, he said. "It does a disservice to the office to not fully consider the direction you're going in," he said. "The premier's not doing that." Pam Frache, the Ontario co-ordinator of the Fight for 15 and Fairness, a group that supports the law, noted that the government has not yet introduced legislation to replace or repeal Bill 148, despite Ford's comments. "We still think there's time for the premier to change his mind, to do the right thing and to stand with the people, not with the corporate elites," she said. Meanwhile, the Ontario Chamber of Commerce, which represents the province's business community, said it would like the government to repeal Bill 148. "The very real unintended consequences [of Bill 148] have forced our members to decrease product offerings and increase the price of products being sold, hire fewer employees, reduce services and hours of operation, cut back on employee benefits, and halt capital investment — all in an effort to stay afloat," president Rocco Rossi said in a statement.